Tati Team Beaujolais Racing has triumphed in the 2017-2018 FIM EWC Superstock World Cup. After taking the lead at the start of the season, the French squad kept up their winning streak all the way to the final race in Germany last weekend to carry off their first-ever World Cup. 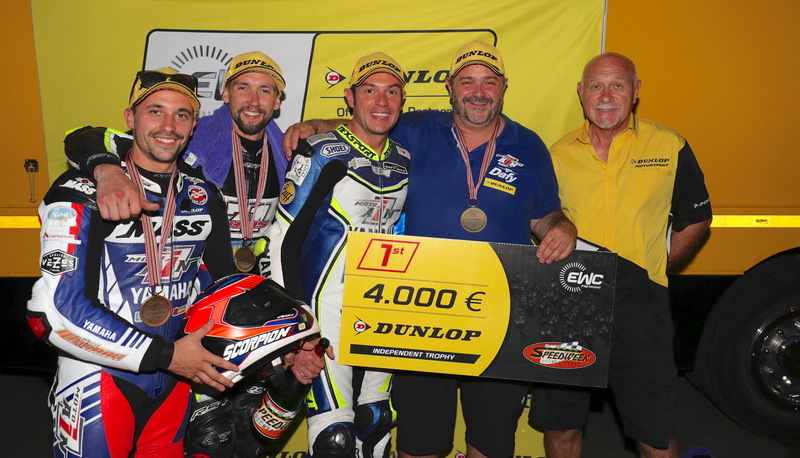 The Anthony Delhalle EWC Spirit Trophy was awarded to Bolliger Team Switzerland in recognition of their determination to achieve a points-scoring finish at the 8 Hours of Oschersleben. F.C.C. TSR Honda France have won the 8 Hours of Oschersleben, consolidating their lead in the 2017-2018 FIM EWC provisional standings. The Japanese team finished an epic race ahead of Team SRC Kawasaki, who pipped GMT94 Yamaha to the runner-up spot. Tati Team Beaujolais Racing held off some very fierce competition to win their first FIM Superstock World Cup. Four hours into the race, which got off to a dramatic start, F.C.C. TSR Honda France has moved into the lead at Oschersleben. This morning’s warm-up at Oschersleben saw a fresh wrangle to set the fastest time. A major upset this morning in the second round of qualifying at the 8 Hours of Oschersleben: GMT94 Yamaha took pole position ahead of F.C.C. TSR Honda France and Suzuki Endurance Racing Team. Moto Ain claimed ninth place on the grid and hence the top spot in the Superstock class. Japanese team F.C.C. TSR Honda France has secured provisional pole at the 8 Hours of Oschersleben, ahead of Suzuki Endurance Racing Team and GMT94 Yamaha. 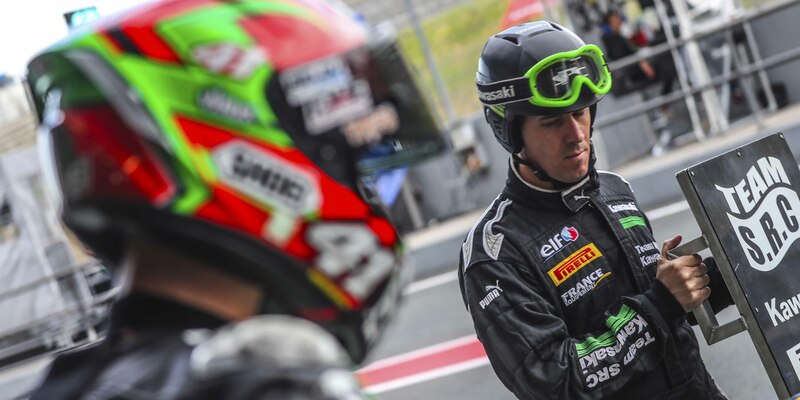 Team SRC Kawasaki led the first charge at the 8 Hours of Oschersleben. Randy de Puniet posted the fastest lap for the Kawasaki squad in free practice this morning, just ahead of GMT94 Yamaha and the ambitious BMW-mounted team NRT48.